I have never been happy that my first version of the drop controller had 2 different power supplies; a 12 volt supply for the solenoid valves and a second 5 volt supply for the Arduino, so I looked for a way to share the 12 volt supply. After a short search I came across Derek Molloy’s video on Youtube. This describes making a 5 volt power supply from a mains adaptor. 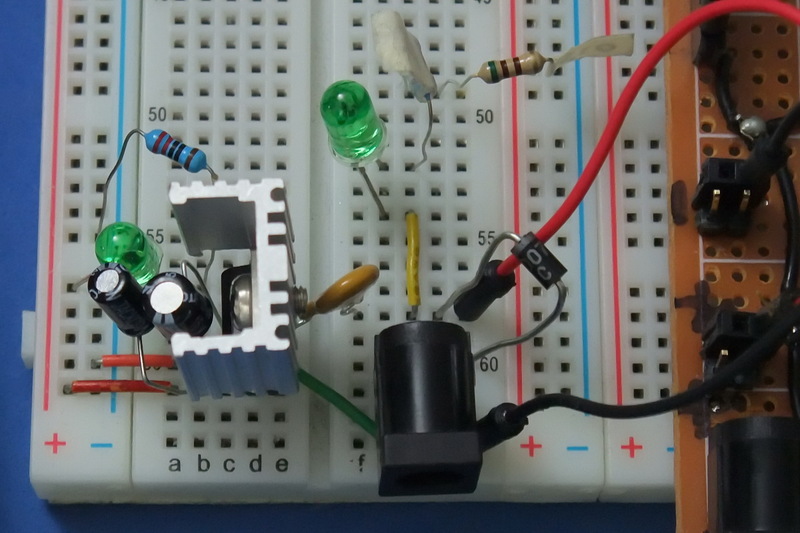 I have now added a small circuit to the drop controller, this takes the 12V supply used for the solenoid valves, drops it to 6V which is used to power the Arduino. 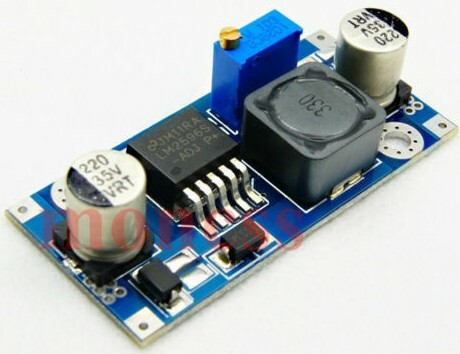 The circuit uses a LM7806 which takes in a higher voltage and outputs 6 volts. My first try used a LM7805 which outputs 5 volts but I found the Arduino unstable at this voltage so switched to the LM7806 and 6 volts. The LM78xx can take a max input voltage of around 35V. So 12V is well within range. 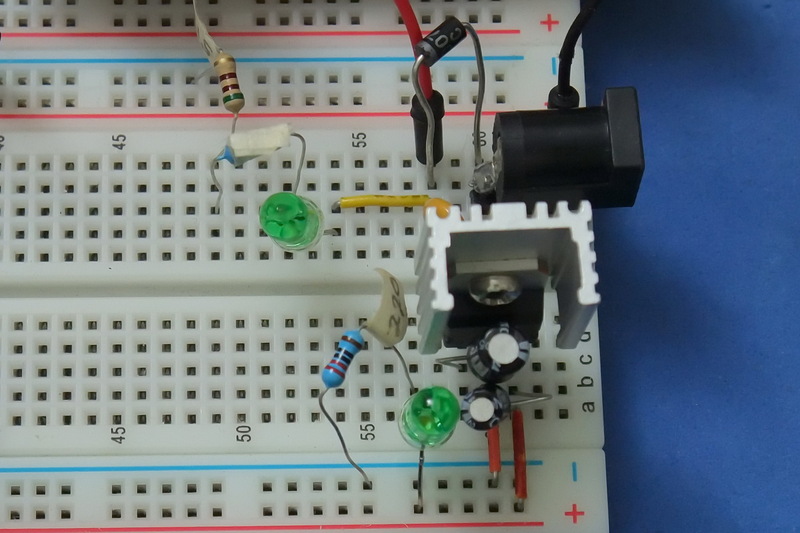 Derek’s circuit has a single LED to show when there is power on the output. I have added and extra LED to show when there is a 12V supply. This is not really required but I find it useful. I have also added a small heat sink to the LM7806. I have now moved to using a buck converter power supply. 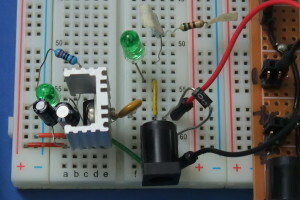 This takes an input of 4.75–35V and outputs 1.25-26V. These are more efficient than 7805s and 7806s. This entry was posted in Arduino and tagged drop controller, power supply by Martyn. Bookmark the permalink.